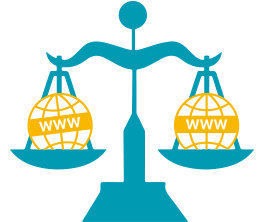 Net neutrality, or an open internet, means that information on the internet should be transmitted impartially, without regard to content, destination or source and that users should be able to decide what applications, services and hardware they want to use. This means that internet service providers cannot decide to prioritise or slow down access to certain applications or services. The EDPS has highlighted that some traffic management policies can endanger the confidentiality of communications and the respect for the privacy of individuals and their personal data when they use the internet. Today, the European Data Protection Supervisor (EDPS) adopted an opinion on the European Commission Communication on the open internet and net neutrality in Europe (*), a subject that has triggered great interest and controversy over recent months. Net neutrality refers to the issue of whether Internet service providers (ISPs) should be allowed to monitor network traffic to filter or restrict Internet access, for example to block specific services or applications (e.g.